We’ve lost the great illustrator Jack Davis, who has passed away at 91. Here’s his poster art for It’s A Mad Mad Mad Mad World (1963). Click on it and it gets huge for study. Blu-ray News #17: The Secret Invasion (1964). Roger Corman fans have plenty to be excited about these days, with some of his key 60s pictures (The Price/Poe Cycle, The Wild Angels, The Trip) making their way to Blu-ray. 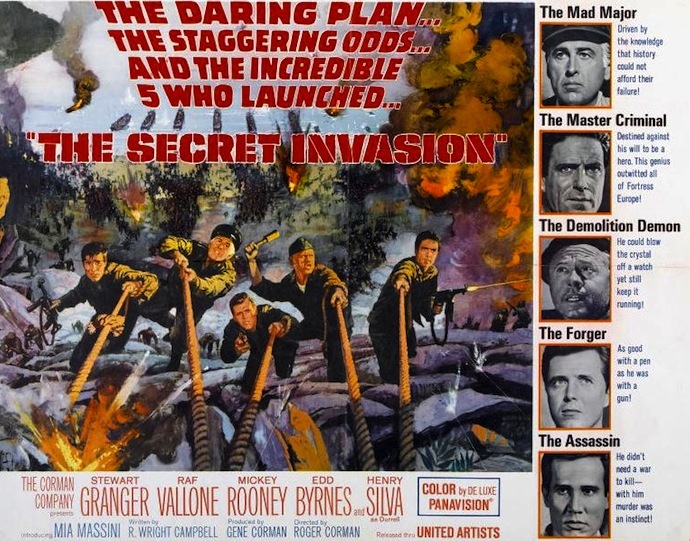 Now Kino Lorber has announced The Secret Invasion (1964). 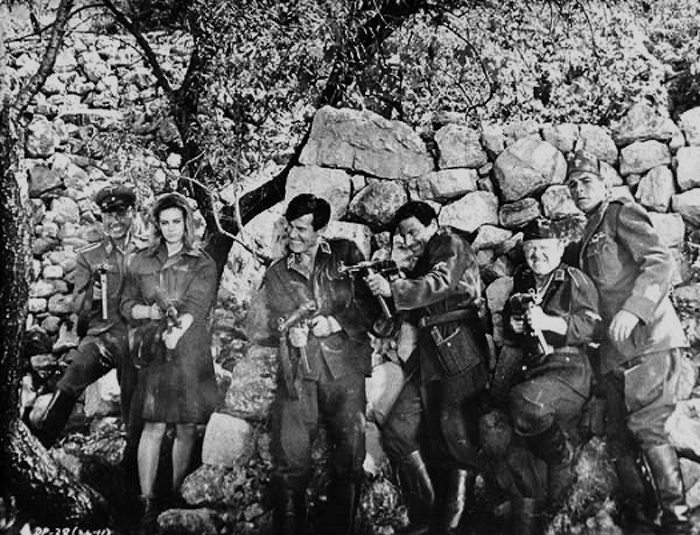 Coming before The Dirty Dozen (1967) with its prisoners-released-for-a-deadly-mission plot, Corman seems to have spent much of his larger budget on an excellent cast — and a truckload of bullets. There’s a lot of shooting in this thing, which is why, as a kid, I loved to see it show up on TV. Of course, in those days, Corman’s great use of Panavision was completely lost on our Zenith. Dialogue Of The Day: It’s A Mad Mad Mad Mad World (1963).